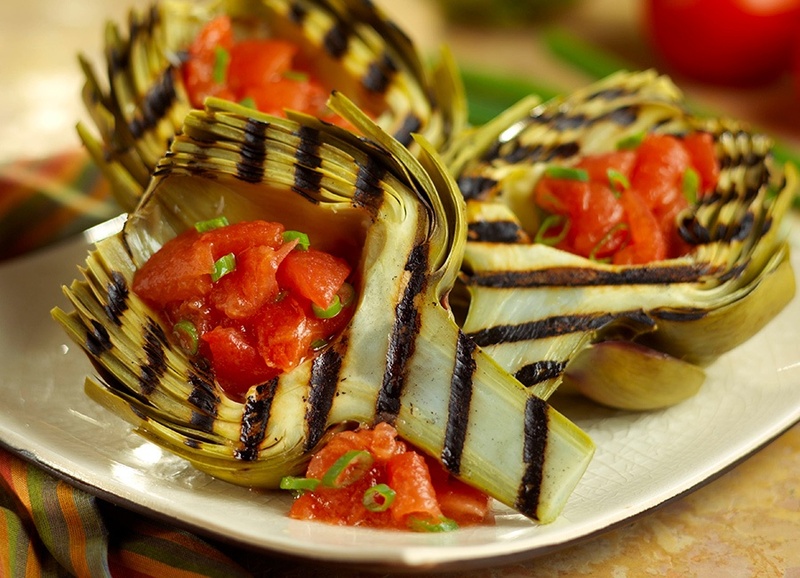 Cut cooked artichokes in half place directly on grill. Turn frequently until outside petals are evenly charred. Chutney: Cut tomatoes in half, squeeze to remove seeds. Roughly chop the tomatoes into large dice. Add tomatoes to the rest of the ingredients (not artichokes) and simmer for 30 minutes. Serve chutney at room temperature over the grilled artichoke.